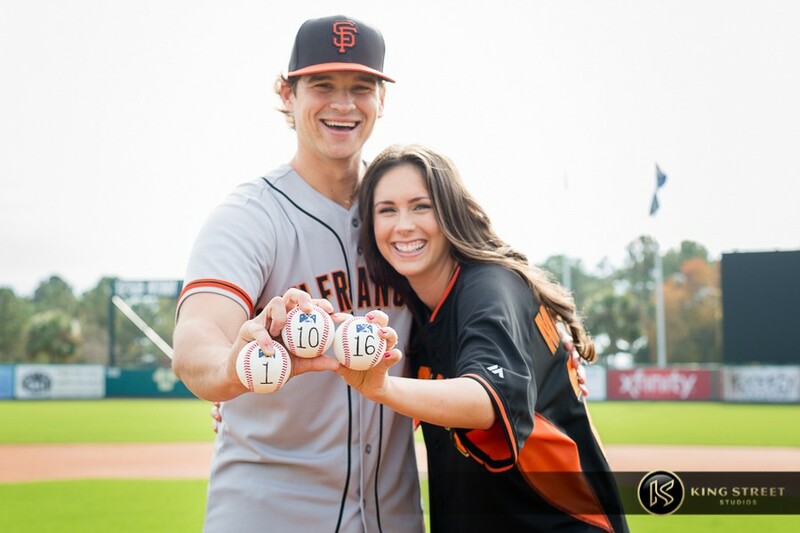 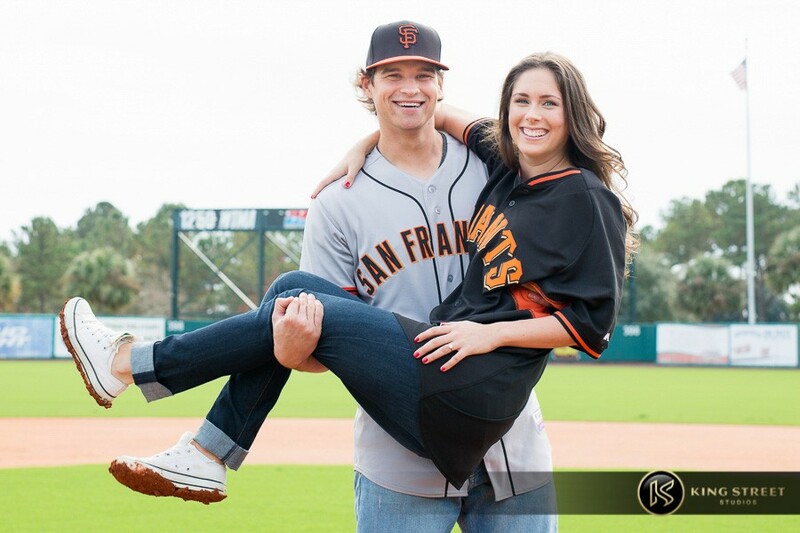 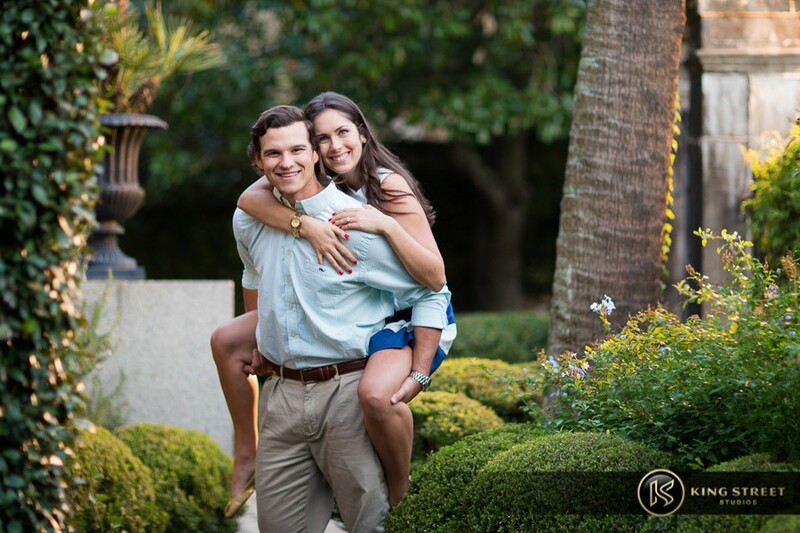 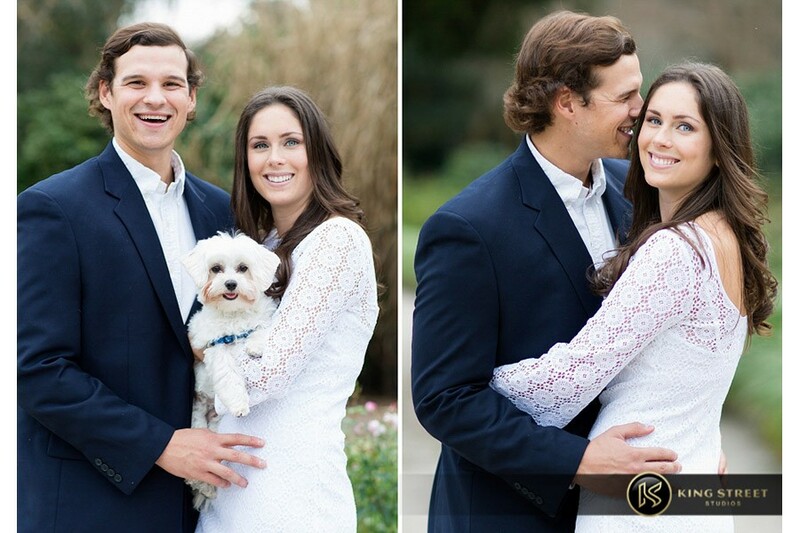 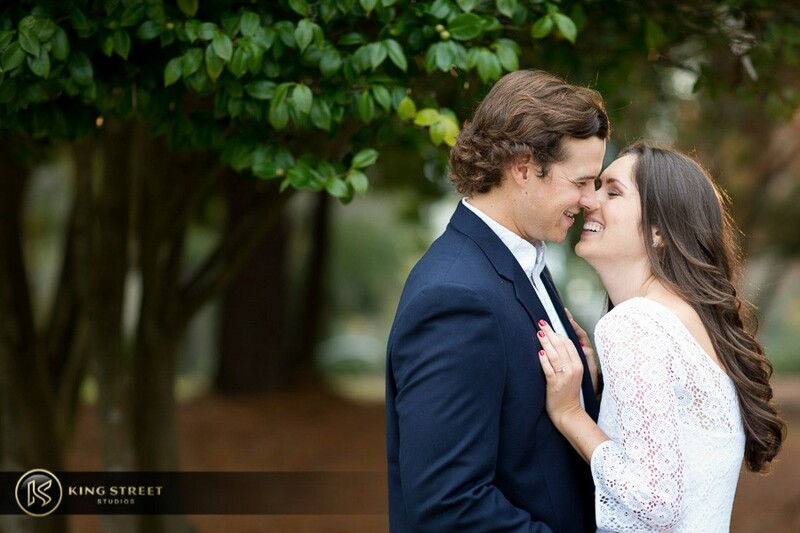 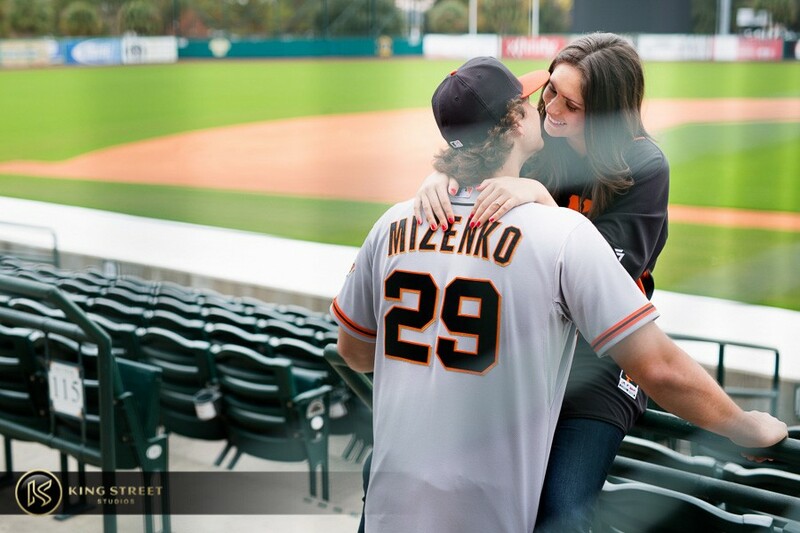 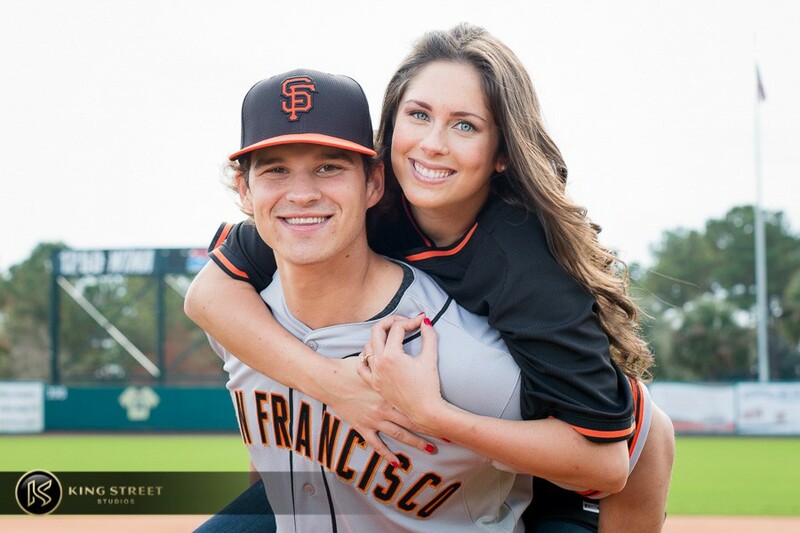 Tyler is a professional pitcher for the SF Giants Organization and Michela is his beautiful fiance. 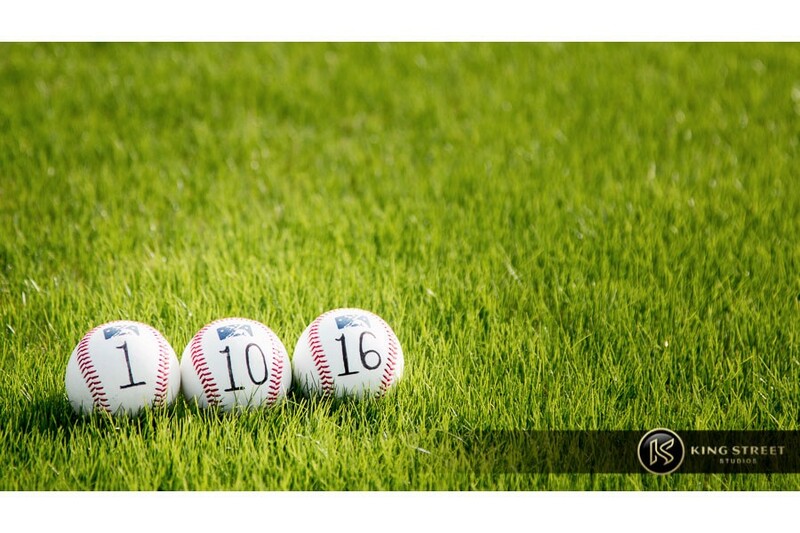 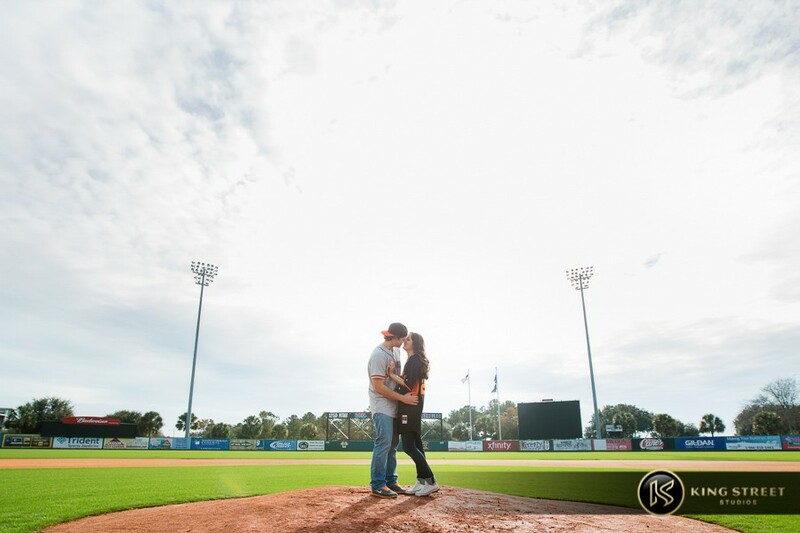 When we talked about possible locations for their engagement portraits, we thought- hey, how cool would it be to shoot at Joe Riley Park? 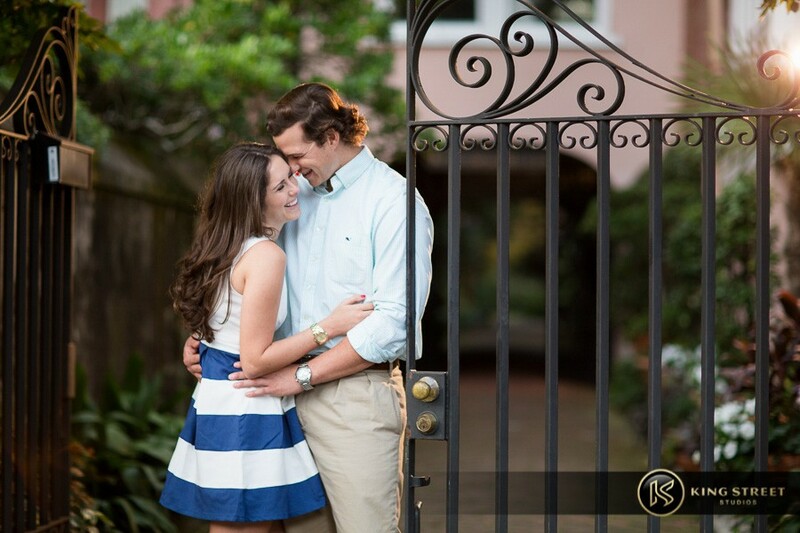 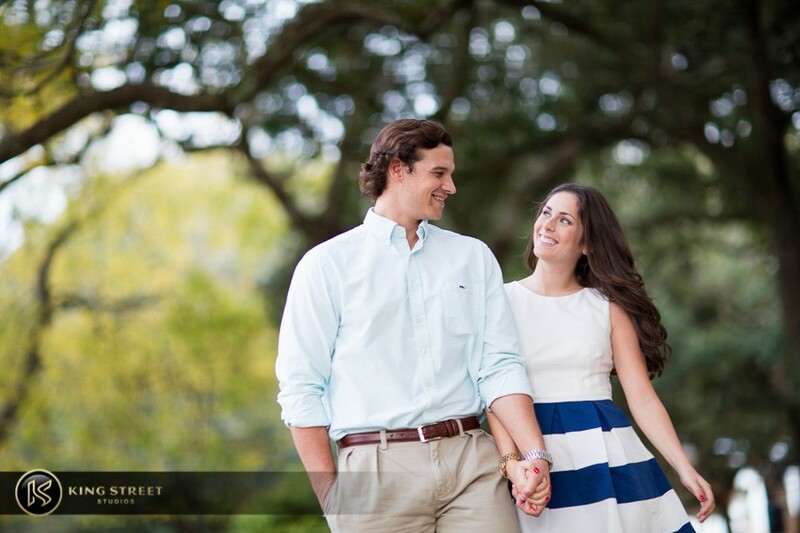 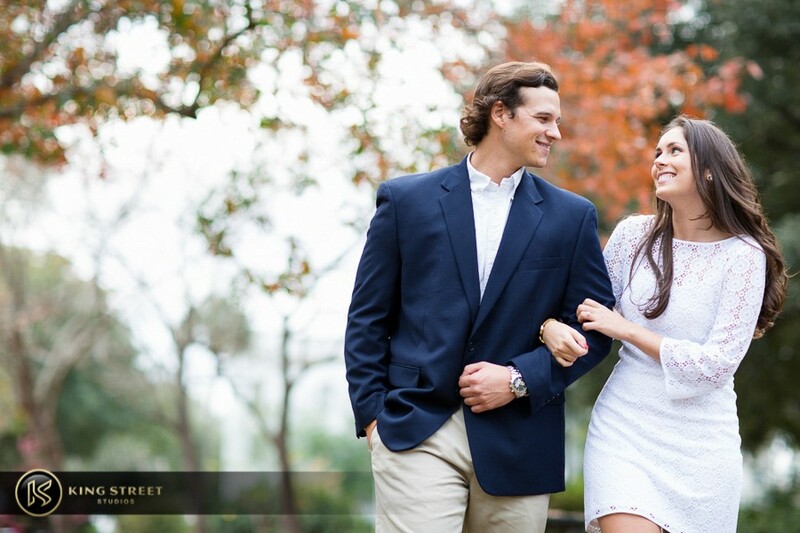 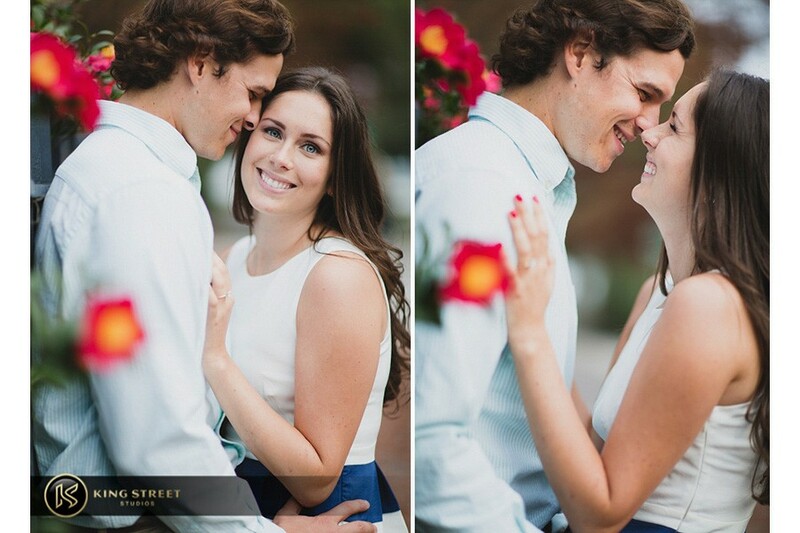 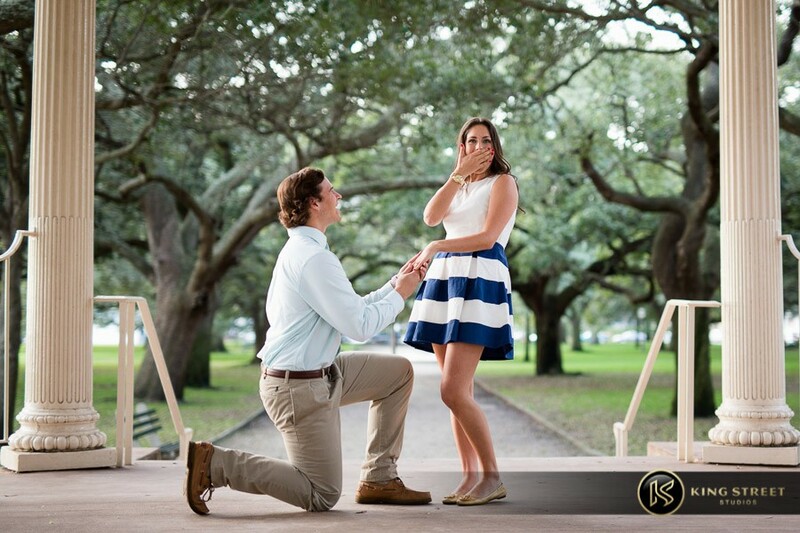 So Tyler looked into it and was able to secure permission to shoot on the field for their wedding engagement photos. 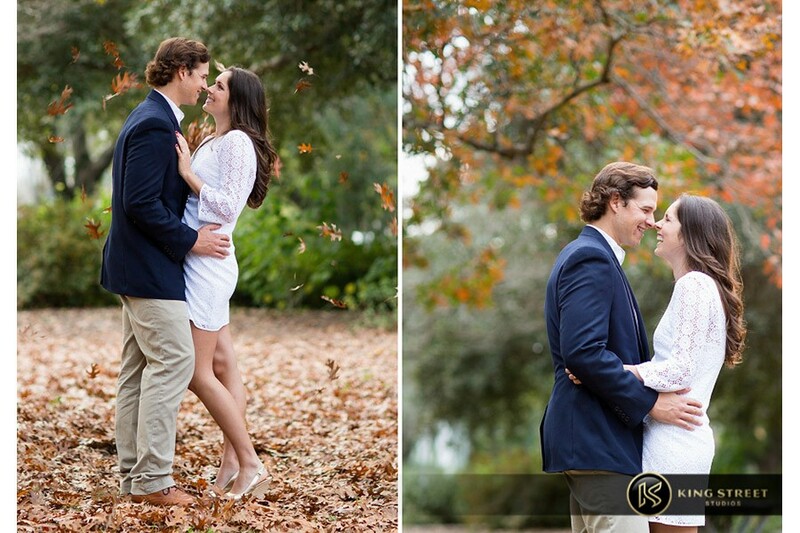 We were at the top of winter when we shot these pictures, so it was a little chilly and wet on the ground from rain that night. 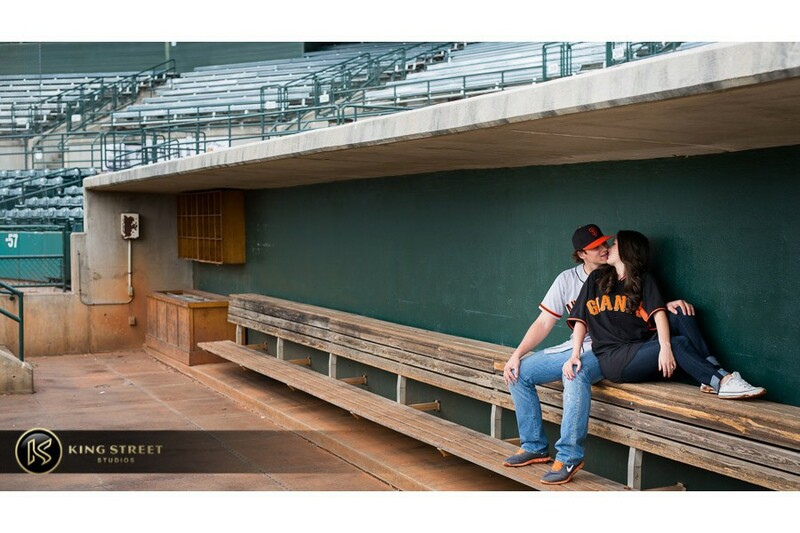 They covered the pitchers mound that week so the tarp needed to be removed for the pictures we wanted. 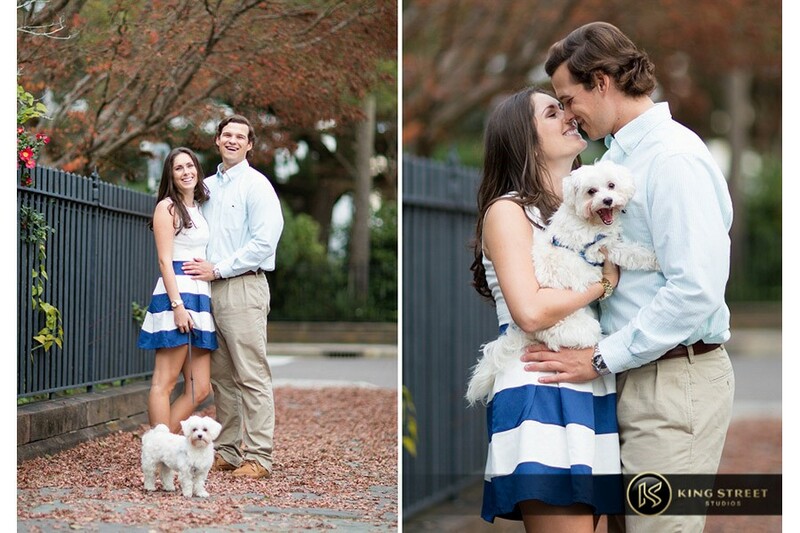 Though that was a bit of a dirty project, it was worth it to get these fun engagement pictures for them. 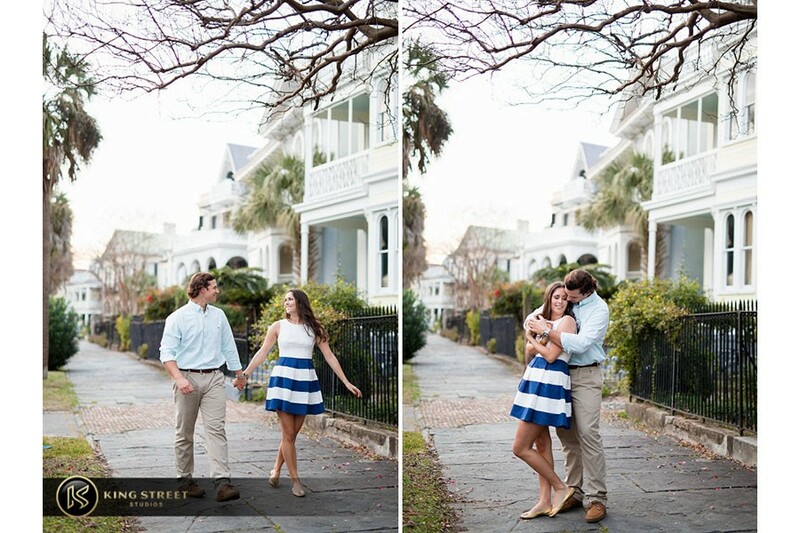 Next after a quick clothing change in the parking lot, we were off to to our next location, downtown Charleston. 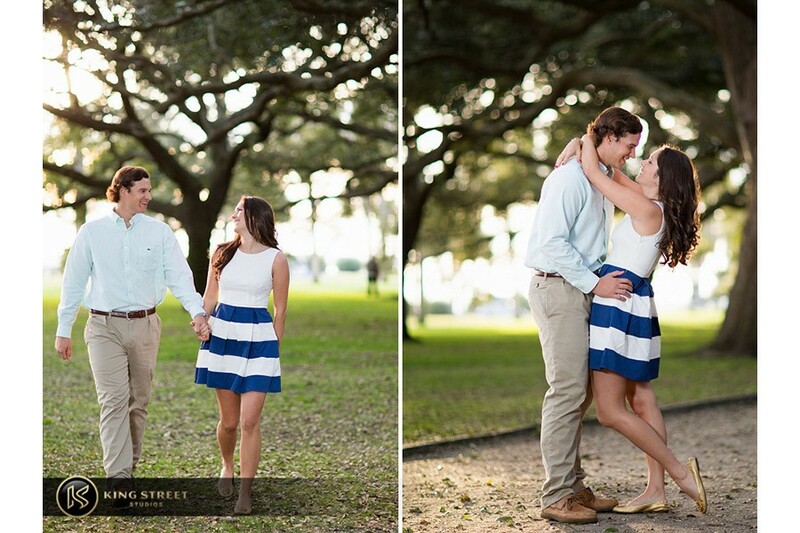 White Point Garden down at the end of the peninsula is where Tyler proposed, so they wanted to get a few pictures there for their memories. 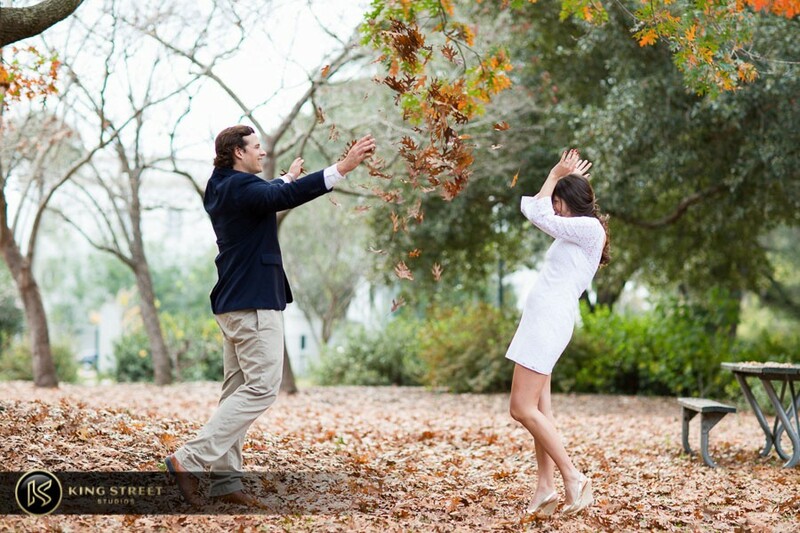 While we were there, we did a quick re-enactment of the proposal on the gazeebo. 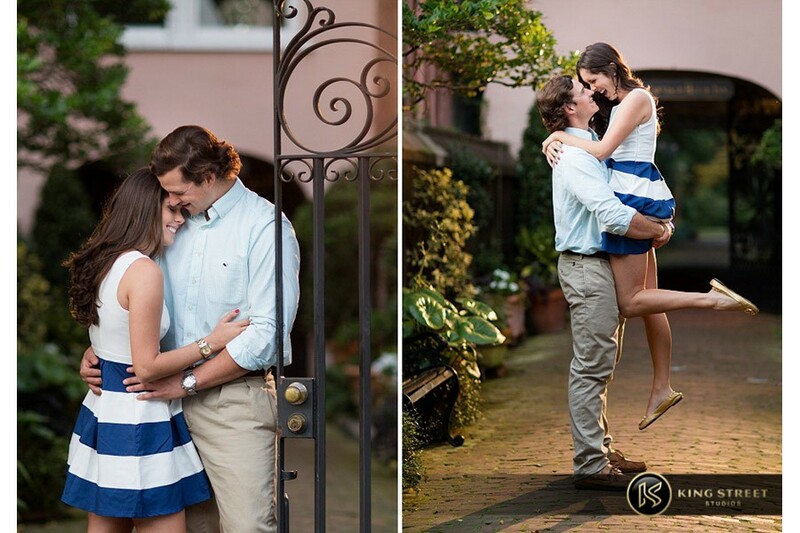 From there we continued their shoot throughout the area using the local architecture as their backdrops. 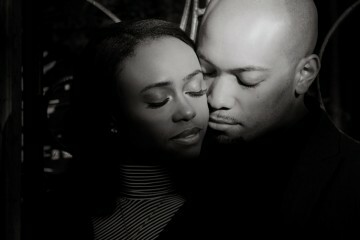 To maximize shoot time for my couples, I keep thing’s moving. 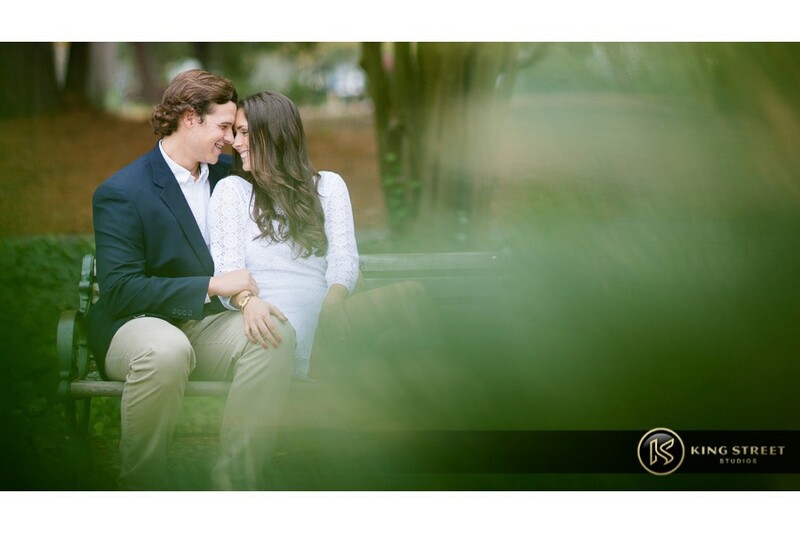 When we start planning for a day of engagement portraits I know it’s my responsibility to manage that time. 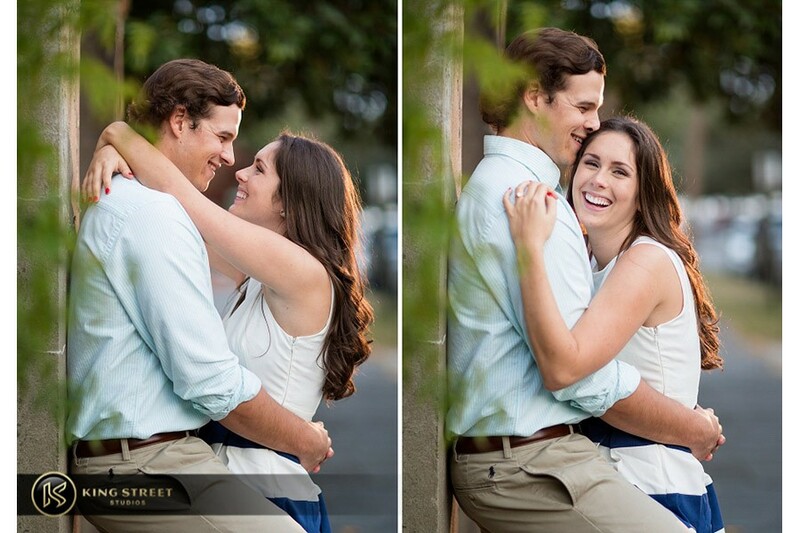 I know how long certain pictures and locations will take, as well as the drive time between each location. 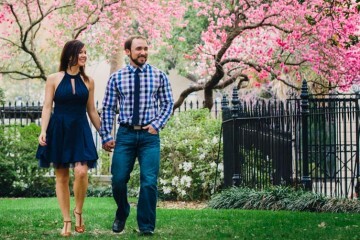 I need to take all this into account when planning to get everything in the allotted time set for an engagement shoot. 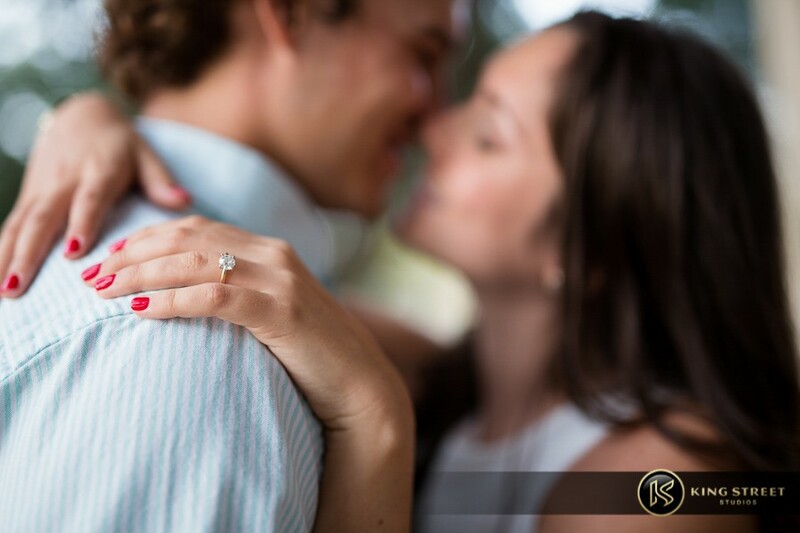 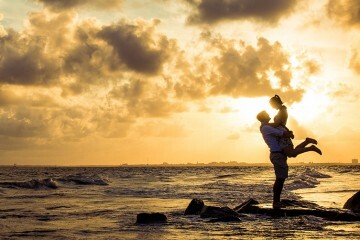 The goal is to always to not just achieve what the couple expects and wants, but to go above and beyond to create an unforgettable day in pictures.